We’ve always been a big fan of the soundtrack. Don’t get us wrong: Given the choice of a great full-length single-artist album or a great movie soundtrack, we’ll always prefer the former. But there’s just something rewarding about a compilation featuring the perfect blend of our favorite artists side-by-side with artists we haven’t fallen in love with YET. Music certainly makes movies better – that’s undeniable. But sometimes the movies make music better as well. Tiny Dancer, anyone? 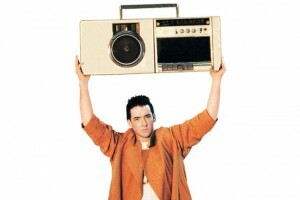 One of our favorite soundtrack experiences comes from 1989’s Say Anything. There’s a lot to like about that movie, but there’s really only one scene we carry with us to this day – the one when Lloyd stands under Diane’s window, boombox stretched above his head blasting Peter Gabriel’s classic “In Your Eyes”. It brings tears every time. We’ve been featuring quite a bit of soundtrack work in recent versions of our weekly New Tracks on the Trail feature. We played Gary Clark Jr.’s contribution to Deepwater Horizon in early September, and followed up last week with Barns Courtney’s new track from The Founder soundtrack. Written and inspired by Oliver Stone’s new film about NSA whistle-blower Jon Snowden, “The Veil” is the second song released this year by Gabriel after he ended a three-year hiatus in June with “I’m Amazing,” a song inspired by Muhammad Ali. The Snowden soundtrack was released in September; the movie comes out Friday. Check out the video for “The Veil” HERE. Also this week, we’ll feature work from Shawn Colvin and Steve Earle’s self-titled collaboration released in June. The two solo singer/songwriters first crossed paths in the 1980s, and after career trajectories that took them in entirely different directions they re-united two years ago for a joint tour. Check out NPR’s review of the album HERE. 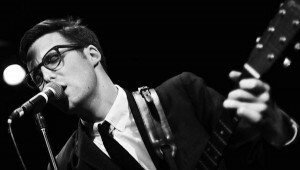 Finally, we’ll spin new material from Nick Waterhouse, who’s making quite a scene with his R&B, jazz and soul grooves. His third album, Never Twice, was released Sept. 30, and we’ll showcase one of it’s brighter tracks, which also features Leon Bridges. For more on Waterhouse, check out this interview from Interview Magazine. There ya have it! Another Tuesday, another round of New Tracks on the Trail! Special thanks to Rockin’ Rudy’s for their sponsorship and support!